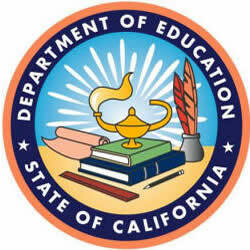 A recent lawsuit against the California Department of Education (CDE) is impacting all public schools across the state, including those operated by the Ventura County Office of Education (VCOE). In April 2012, two organizations, the Morgan Hill Concerned Parents Association and the Concerned Parent Association, filed a lawsuit against CDE regarding compliance with special education laws. As a part of this lawsuit, CDE has been ordered by the United States District Court to release all data it has collected on general and special education students statewide since Jan. 1, 2008 to attorneys for the plaintiffs in the lawsuit. No data is being released to the public and extensive precautions are in place to keep the data secure. Additionally, the parties are required to either return or destroy the data at the conclusion of the lawsuit. VCOE schools were not involved in the lawsuit and are not the subject of any of the suit's allegations. VCOE will not be disclosing any student data.